Later in the year, the 2012 Toyota Prius C should begin reaching dealerships. With up to 53 mpg city and a price tag starting at about $19k, you'll want to recalculate if the lowest ownership costs are your goal. The 2012 Toyota Yaris is fuel-efficient in the city without hybrid hardware, and it has an nicely appointed interior that feels cheerful but not cheapskate; but its weak performance and highway refinement aren't up to current class standards. The 2012 Toyota Yaris has been redesigned this year, but this small car is perhaps more muddled in purpose (at least in the U.S. market) than before. With the Scion xD and iQ models, which share in many places the same showroom and the same sales lot, overlapping quite a bit in purpose with the all-new 2012 Yaris, and a new Prius C expected later this model year at a $19,000 price point, with a 53-mpg rating, what's the appeal of the Yaris? On one side, it's styling. Toyota has placed more of an emphasis on its sportier Yaris SE package, which gets chunkier-looking air dams, distinct wheels, color-keyed details, and more of a rally-racer look in general. But across the lineup, the Yaris sheds the 'Euro-chic' look of the last generation and actually looks a bit more conventional and ordinary, we think. Inside, materials and details are a step up, with a straightforward new instrument-panel design and gauges back in front of the driver where they belong. 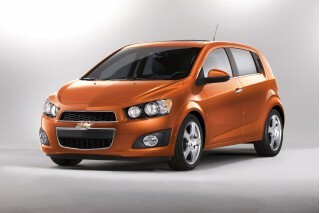 At a time when many rival models either get a modern direct-injection engine (Hyundai Accent, Kia Rio) or available turbocharged versions (Chevrolet Sonic), Toyota sticks with a very tried-and-true layout for its new 2012 Yaris. The 106-horsepower, 1.5-liter DOHC in-line four carries over into the new car virtually unchanged from last year. While this engine is adequate with the five-speed manual, it's weak with the four-speed automatic, which is missing a gear or two next to the competition. The electric power steering is nicely weighted, though, and SE models get a stiffer but still comfortable suspension tune that doesn't sacrifice comfort. The Yaris is all-new as a hatchback this year, while a new sedan version is on the way next year. In the mean time, Sedans are relegated to fleet-only status. Seating has been improved throughout, with front seat cushions longer and now better for tall people. In back, too the bench isn't quite as hard as before. But packaging remains far from the best in the class, with rear seats that don't quite fold flat; cargo space has been improved a bit, though. Refinement is barely par in this class, with engine noise noticeably present from about 70 mph. Safety is a bright spot for the 2012 Toyota Yaris. It now comes with nine standard airbags—including front seat-mounted side bags, a knee airbag for the driver, and roll-sensing side bags for front and rear occupants--and it's an IIHS Top Safety Pick. Features are still very much in the economy-car vein. You won't find touch-screen navigation, heated seats, or leather upholstery in the Yaris, and the options list is quite limited. But sound systems have been refreshed, and they all come with delightfully simple (and effective) Bluetooth hands-free and audio streaming, USB and aux-in plugs are standard, and LE and SE models get HD Radio. The 2012 Toyota Yaris picks up some details from Scion and fades further into small-car anonymity on the outside, but its interior is refreshingly straightforward and stylish. 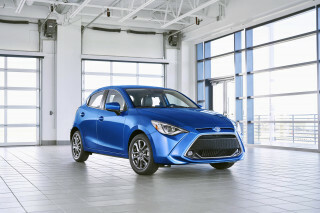 For 2012, the Yaris Liftback (hatchback) gets a complete redesign, while the Yaris sedan is carried over for one more year before it gets some of the same changes and updates. The 2012 Yaris Liftback seems to have inherited many of the very same cues that the Scion xD hatchback got a few years ago (Scion is Toyota's youth-oriented sub-brand). In front and in back, edgier air dams make the corners look a little more aggressive, and the dash gets more bins and practical goodness. 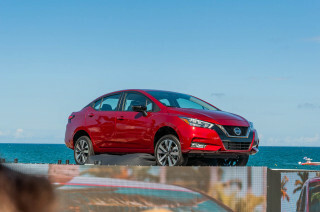 The has about the same stance as the outgoing model from the front or back, but from the side it looks longer and lower (it's slightly longer). We see a pretty heavy Subaru influence in the beltline, with the big door handles and the side crease leading into flared-out taillamps—as well as the rally-racer-ish, chunky rear fascia. However, to our eyes, from some steps back, the new finished product just isn’t as charming as the previous model. On the outside, where the previous model has an outgoing, Euro-hip design that never seemed to look dated, that’s a bad thing. Inside, where the instrument cluster was a centrally mounted oddity in the outgoing version, and controls and displays weren’t quite as straightforward as they could be, we welcome the changes. The 2012 Yaris' interior and IP are quite cheerful and well-designed. The dash has more of a horizontal, shelf-like orientation, and there are various bins built into the center tray as well as the doors and lower dash—plus a long tray at the bottom of the dash at the passenger side. The 2012 Toyota Yaris accelerates sluggishly with the automatic, and doesn't feel particularly quick or refined, but it performs acceptably enough for eco-minded small-car shoppers. At a time when many rival models either get a modern direct-injection engine (Hyundai Accent, Kia Rio) or available turbocharged versions (Chevrolet Sonic), Toyota sticks with a very tried-and-true layout for its new 2012 Yaris. The 106-horsepower, 1.5-liter DOHC in-line four carries over into the new car virtually unchanged from last year. The engine is, as the specs say, weaker than just about every other engine in this class. 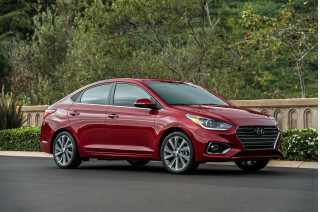 It does have variable valve timing and manages to feel more flexible than either the 1.6-liter in the Hyundai Accent and more refined than the base 1.8-liter in the Sonic. But even though the Yaris is one of the lightest cars in this class, acceleration is tepid at best. The Yaris' five-speed manual gearbox is one of the lightest, most precise-feeling gearboxes in this class, even if the throws are a bit long—go with it if you can, as the four-speed automatic is a dinosaur next to much of the six-speed competition, with its widely-spaced gears and dramatic highway downshifts. Keep the revs up in manual versions and the Yaris feels perky enough. You'll notice more engine noise with the automatic, as well, or whenever you rev it much past the 3,000-rpm mark. 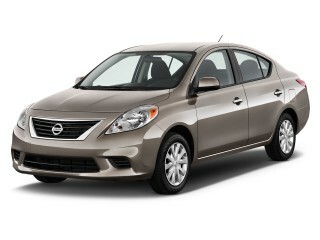 Just like the previous Yaris, the 2012 model is a joy to drive in tight urban areas. We liked the way the electric power steering felt—it’s secure on-center at higher speeds, and even at lower parking-lot or S-curve speeds it seems to load up with a nice, progressive feel off-center. That said, we feel like the Yaris should feel a little perkier than it is, given the fact that it's one of the lightest entries in this class, at around 2,300 pounds. We tested the sportier, upmarket trim of the Yaris, the SE, which also gets rear disc brakes at a time when they're not even available on any trim of some models, like the Chevrolet Sonic (lower-level versions of the Yaris get drums). The pedal feel in the SE is quite firm and positive—far better than the mushiness you get in the Sonic or the uneven actuation of the Accent. SE versions also get thicker stabilizer bars and a somewhat stiffer suspension tune—although even that is plenty comfortable. Overall, it feels nicely buttoned-down, with much less of the buoyant fore-and-aft feeling we've noticed in former versions. The 2012 Toyota Yaris has comfortable seats and a composed ride, but its interior could be quieter and its packaging is far from the most space-efficient. The 2012 Toyota Yaris has cabin appointments and interior packaging that are merely average in this class, but improved seats and a better instrument-panel design mark significantly improved functionality. For now the all-new 2012 Yaris is only offered as a three- or five-door Liftback (hatchback), though a four-door sedan is due (the outgoing Yaris Sedan is still available at dealerships, as a 2012). With a couple more inches of wheelbase and length than before, there's more cargo space in back as well as a bit more passenger space in the new Liftback, compared to the previous one. In the front seats, we like the rather high seating position, where you get a good view out and yet have plenty of spare headroom. On the other hand, it does feel a bit like you're sitting ON the car rather than IN it. The lack of telescopic steering adjustment might be an annoyance; and it could be a deal breaker for those with atypical proportions. Front seats (admittedly, the SE's “exclusive sport seats”) feel much improved compared to what you got before in the Yaris, or what you presently get in the Nissan Versa. They're somewhat wider and noticeably longer, and have a little bit of natural contouring and side support, and they no longer feel like short benches, cutting off circulation to the thighs. But we did note that the fabric acted as a lint brush of sorts to our clothes, collecting stray pet hair and the like. Rear seatbacks fold forward, although not fully flat, and the cargo floor isn't nearly as low as that in the Honda Fit. Thanks to the added wheelbase, plus a retuned suspension, ride quality is better than previous Yaris models, and good within this class, with less of the bobbing motion that you see in some other subcompacts. But there is a modest amount of wind noise at highway speeds, and at about 70 mph the engine note becomes a constant presence inside the cabin. 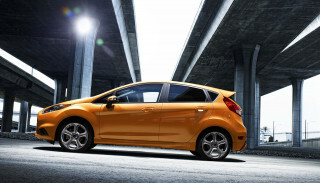 You'll also hear the engine and its coarse, not-so-sporty note whenever pressing it much above 3,000 rpm. There's a lot to like in the new instrument panel and dash design, which includes several well-placed bins for storage--including one good for a wallet or smartphone just ahead and to the left of the driver. Ahead of the front passenger is a shallow shelf--with no texturing at the bottom, leaving whatever small items are placed there to slide back and forth. The 2012 Toyota Yaris offers top-notch occupant protection and is significantly improved over the previous model. Depending on whether you choose the 2012 Toyota Yaris Liftback or the Yaris Sedan, you're getting a different level of occupant protection. For 2012, the Yaris Liftback models are all-new, and their stronger body structure and additional airbags put them at an advantage over the Yaris Sedan. With nine standard airbags—including front seat-mounted side bags, a knee airbag for the driver, and roll-sensing side bags for front and rear occupants, the 2012 Yaris is a big step forward compared to the outgoing model, and it's now one of the safest models in its class. The IIHS has already helped confirm this, awarding its Top Safety Pick accolade to the 2012 Yaris Liftback after it earned top scores in all categories (though federal results still aren't available). For the 2012 Yaris Sedan, which is carried over from last year and is still being sold to some fleets, the news isn't as good, as EPA roof-strength ratings are 'acceptable' and rear-impact tested 'marginal.' If you're want a sedan and are concerned about safety, you'd probably be better served moving up the Corolla. Don't expect a lot of frills; although audio and connectivity are impressive, the feature list for the 2012 Toyota Yaris is still that of a budget-priced commuter. The 2012 Toyota Yaris makes few advances in comfort-oriented features--and you still won't find a navigation system, heated seats, or leather upholstery on the options list--but this redesigned model gets new audio systems with well-integrated Bluetooth connectivity as well as USB and auxiliary inputs for the entire model line. Of note is the large single-wiper system, which worked great—seeming more effective with the washer than dual-arm systems. But on the other hand, the Yaris was one of the few vehicles we've been in as of late that didn't, from what we observed, automatically turn on the A/C when you turn the dial to defog. The Yaris SE we tested—along with Yaris LE models—included an all-new Toyota-branded head unit with HD radio, six-speakers, and built-in Bluetooth hands-free calling and Bluetooth music streaming. Pairing the phone was an absolute cinch—done in about 30 seconds following text prompts—and the microphone for the system dealt well with any road noise. The system was also one of the better-sounding systems we’ve heard in HD mode, which can sound compressed and dithered in some situations—although we did notice that HD reception was quite limited. The 2012 Toyota Yaris is an fuel-efficient, low-cost pick for city commuting, but its mileage on the highway is surpassed by a number of larger, more comfortable models. Fuel-efficiency and sticker price are still among the major reasons why shoppers will look at the 2012 Toyota Yaris, and it's still very appealing on both counts. 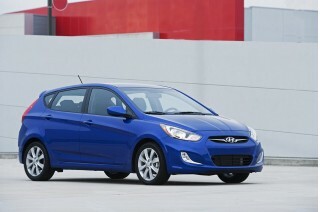 Whether you get the four-speed automatic or the five-speed manual, the 2012 Yaris is rated at 30 mpg in city driving; but its aerodynamics (and likely the lack of more gears for the automatic) keep it from returning the 40 mpg or higher ratings that other subcompacts like the Hyundai Accent now get. We've had no problem matching the Yaris' mileage in the city. In our latest test of the 2012 Yaris, we averaged 30 mpg over nearly all city stop-and-go and short trips. But over an additional, pretty level 10-mile stretch at 70 mph, we could only average 35, though—a number we match in many larger compact sedans. To sum, the Yaris is a great city car, not a highway hauler. 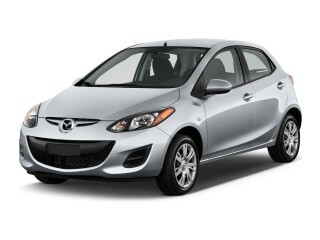 I really wanted a prius c but as that was too dear I bought a 5spd manual Yaris. In the year I've had it it hasn't let me down. 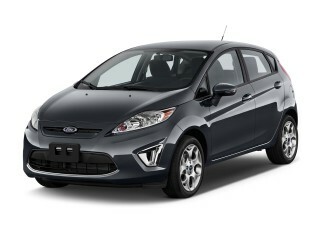 I look forward to driving it and now that I'm used to manual I find it a pleasure... 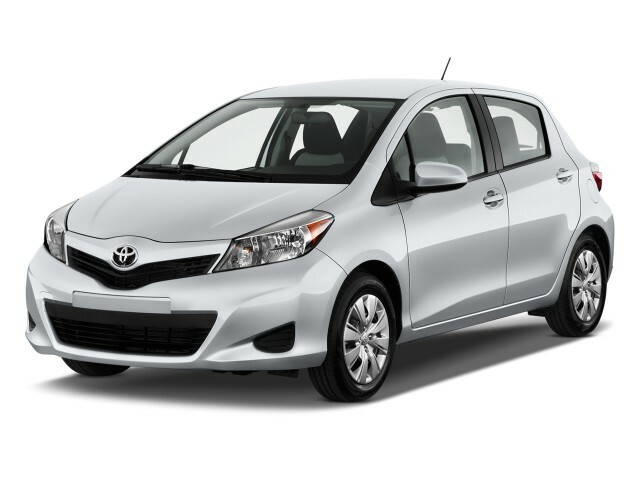 I really wanted a prius c but as that was too dear I bought a 5spd manual Yaris. In the year I've had it it hasn't let me down. I look forward to driving it and now that I'm used to manual I find it a pleasure to drive around town.